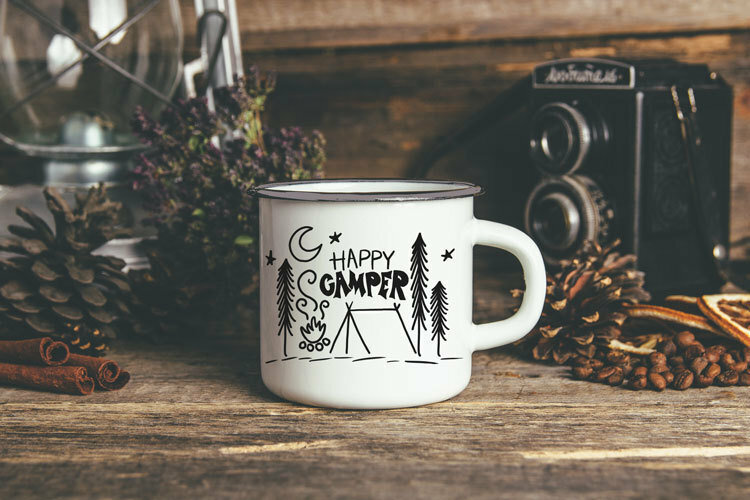 This is a hand drawn design sublimated onto a 12 ounce metal camp mug. These are sure to get you into the camping...or glamping...mood! Just add a hot beverage to sip, a cozy fire, and some great conversation and you will be making memories to last a lifetime.